The next-generation Volkswagen Golf has been caught on camera for the first time, revealing that Volkswagen is currently testing the eighth-generation version of its venerable family hatchback at the Nurburgring. The spy shots themselves tell us little about the design of the next car though. This development mule wears current Golf bodywork stretched over the underpinnings of the next car, so we'll have to wait a little longer for a sneak glimpse of how it will look exactly. 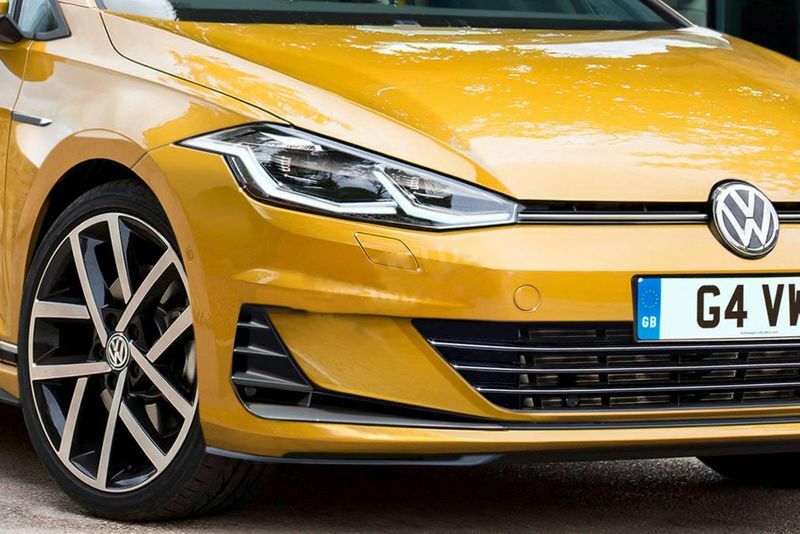 The bodywork itself is stretched though, revealing that when the Mk8 Golf arrives next year, it'll be slightly longer and wider, as hinted at by the swollen wheel arches and the extended front bumper. Showcasing the efforts Volkswagen has gone to in order to keep the next Golf a surprise, the interior of this mule has been lifted from the current car too. The only new item spotted inside is the gear selector. Volkswagen has already officially confirmed a production schedule. The first cars are due to roll off the line at the firms flagship Wolfsburg plant in June 2019. The announcement was made at the Golf 8 Supplier Summit at the beginning of the year, presented to 120 key suppliers, for the eighth-generation model. According to Ralf Brandstätter, VW Group Board Member for Procurement, the launch of Golf 8 next year is on par with the introduction of the firm’s I.D electric cars in terms of importance. Karlheinz Hell, Volkswagen’s small car boss, said: "The next Golf will take Volkswagen into the era of fully connected vehicles with extended autonomous driving functions. It will have more software on board than ever before. It will always be online and its digital cockpit and assistance systems will be the benchmark in terms of connectivity and safety." The Golf will undergo its biggest transformation in 43 years for the next generation as the German brand prepares to roll out hybrid technology, slim down the model line-up and completely revamp the interior design. An unveiling for the Mk8 Golf hatchback has been earmarked for the Frankfurt Motor Show in 2019 but, at last year's Frankfurt show, we gained new information on that high-tech interior. Volkswagen’s next Golf will feature a “revolution” in its cabin, the company’s chief of design has promised. The Mk8 car is due on sale in Britain in 2020. It will continue to be based on the current car’s MQB platform, and will feature many of its same engines and transmissions – and this level of continuity has allowed VW to focus on other areas. VW’s design boss, Klaus Bischoff, has revealed that chief among these requirements is to be “ready for the next generation of connectivity and digitisation” – and that this has caused a “total rethink” on how the car’s cabin will look. “It’s a revolution,” said Bischoff. “It’s really a totally digital environment; the only analogue aspect is basically the steering wheel.” That means that a development of the current Golf’s fully digital instrument panel is likely to be standard across the range, instead of being an option for higher-end versions. The arrival of the next Golf – previewed in the image gallery above – will coincide with the roll-out of Volkswagen’s I.D. electric car family, which begins with the Golf-sized I.D. hatchback. However, boss Herbert Diess has said that despite the aggressive EV offensive, which will see at least five dedicated battery-powered VWs launch by 2025, the next Golf remains the brand’s focus.